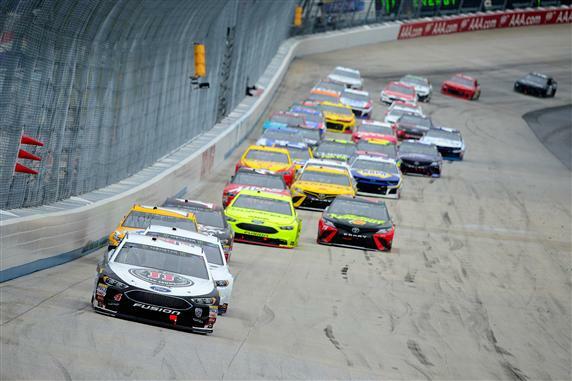 The Monster Energy NASCAR Cup Series will travel back to Dover International Speedway this week for Gander Outdoor 400. There are only 7 races left in the season and our choices in the One & Done are limited. I saved a driver for this race and I am hoping it pays off. Bristol Ricky Stenhouse Jr. 4th Bristol Ricky Stenhouse Jr.
Daytona Michael McDowell 26th Daytona Ricky Stenhouse Jr. The only drivers I have left are: Kyle Busch (Saving him for another track), Jimmie Johnson, Austin Dillon, Ty Dillon, William Byron, David Ragan and Matt Dibendetto. My One & Done pick this week will be Jimmie Johnson. I have been saving him for this race. I was hoping he was still alive in the playoffs so he would have more to race for but I still think Johnson will run well Sunday. Johnson has won 11 races at Dover and he finished 8 of the 10 races at the Monster Mile in the top 10 (including 4 trips to Victory Lane). This is a great week to use Johnson if he is still available for your team.